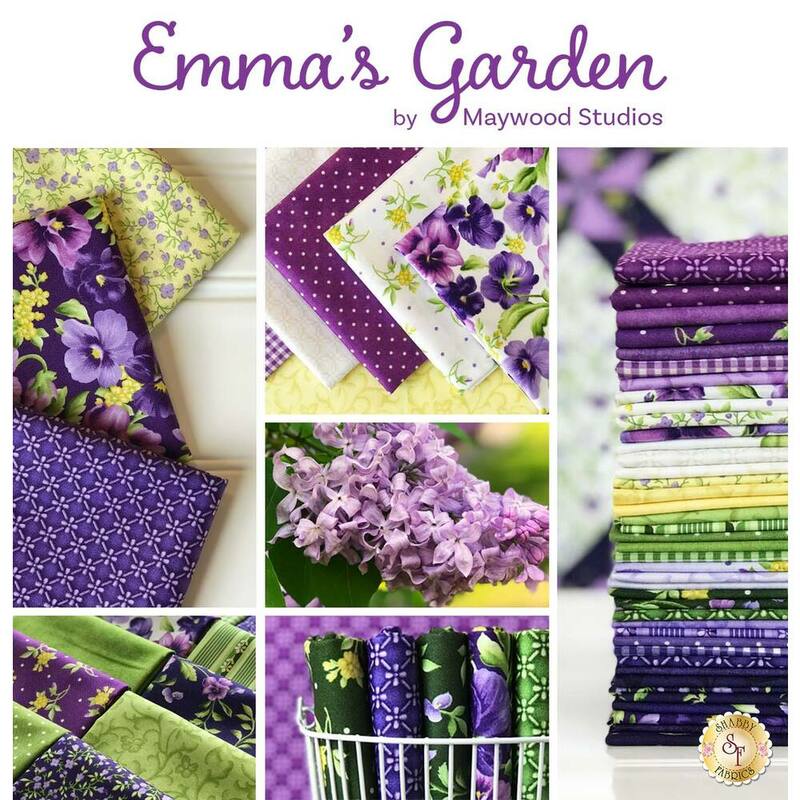 Emma's Garden is a lovely floral collection by Debbie Beaves for Maywood Studio. 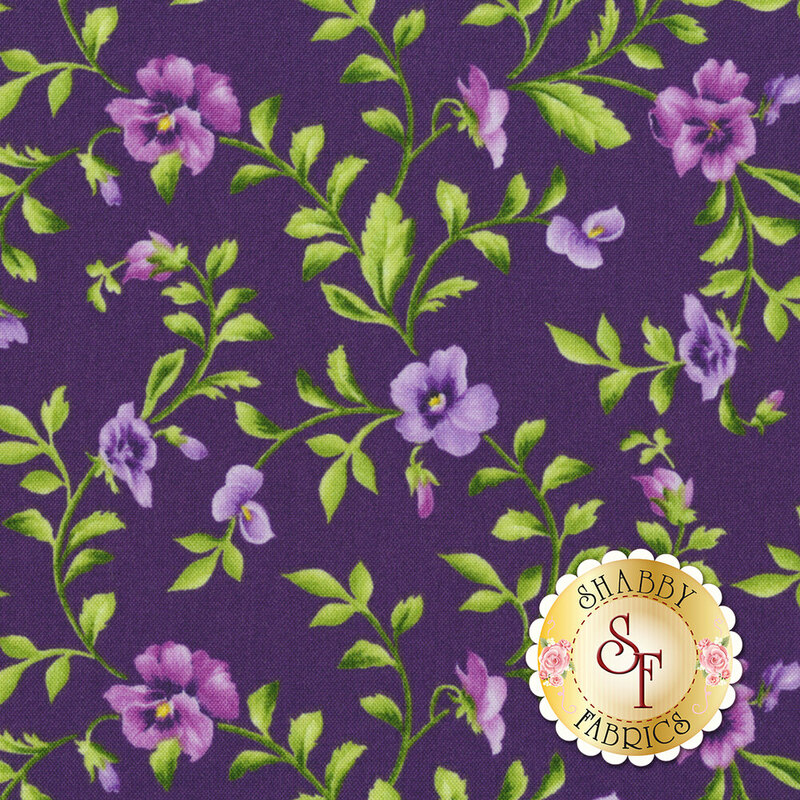 This fabric features purple pansies on vines on a purple background. Use this fabric in a spring quilt project! Please Note: This design runs length of fabric.